To engage in lesson study for information, collaborative teams design introductory lessons for score 2.0 (then lessons for 3.0 and 4.0). Designing multidimensional assessments that report single scores only for all dimensions negates any possibility of tracking student progress. For student-generated assessments, students approach the teacher and propose what they will do to demonstrate they have achieved a particular status on a proficiency scale. Effective superintendents recognize the importance of ongoing communication. A guaranteed and viable curriculum is the variable most strongly related to student achievement at the school level. In instructional rounds, the observed teacher should demonstrate one of the lessons developed by the collaborative team during lesson design. Student learning improves when teachers are clear on the criteria they will use in judging the quality of student work and can apply the criteria consistently. Evidence of student learning is used on a regular basis to identify the specific needs of individual students. Groups conducting rounds are usually small in numbers—three to five members—and a lead teacher, team leader, or instructional coach who has the respect of the team and serves as a facilitator. Score 2.0 content involves instructional activities for organizing students into interaction groups, previewing the content, chunking the content into small bites, scaffolding the chunks, allowing students to process each chunk, asking elaborative questions, asking students to represent the content in linguistic and/or nonlinguistic forms, and asking students to reflect on their learning (p. 155). Multidimensional assessments, then, create substantial problems in terms of providing students with accurate feedback regarding their progress. An assessment could, however, include more than one dimension, provided scores are computed and reported for each dimension in the assessment (pp. 123–123, 128). Student-generated assessments are probably the most powerful and revolutionary form of assessments made available by performance scales (p. 131). Effective superintendents keep the message simple and consistent. They demonstrate congruency between their own actions and professed priorities. For communication to be effective, however, it must go two ways (pp. 42–43). That is, one of the most powerful things a school can do to help enhance student achievement is to guarantee that specific content is taught in specific courses and grade levels. It is important to note the two parts in the concept of a guaranteed and viable curriculum: The fact that it is guaranteed assures us that specific content is taught in specific courses and at specific grade levels, regardless of the teacher to whom a student is assigned. The fact that it is viable indicates that there is enough instructional time available to actually teach the content identified as important (pp. 89–91). 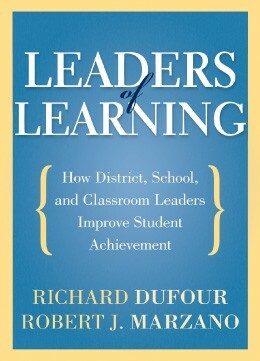 Instructional rounds are intended to allow members of collaborative teams to examine the effectiveness of lessons designed by the team and to compare their individual instructional pratices with those they observe in the classrooms they visit (p. 167). Student learning improves when teachers are clear on the criteria they will use in judging the quality of student work and can apply the criteria consistently. Therefore, teams should establish the criteria they will use in assessing student work and practice applying their agreed-upon criteria to samples of student work until team members have established inter-rater reliability (p. 82). Evidence of student learning is used on a regular basis to identify the specific needs of individual students. The school moves beyond using data to make general observations about the achievement of all students. It creates processes to use assessment results to respond to students by name and by need (p. 25). Groups conducting rounds are usually small in numbers—three to five members—and a lead teacher, team leader, or instructional coach who has the respect of the team and serves as a facilitator. Administrators may also facilitate rounds, but it should be made clear from the outset that their purpose is not to evaluate the teachers being observed (p. 167).